The Kurdish shepherd (shwaan شوان) is legendary and deep rooted in Kurdish culture and language. You can even see it in the traditional Kurdish shepherd´s clothes for men worn as a national symbol. 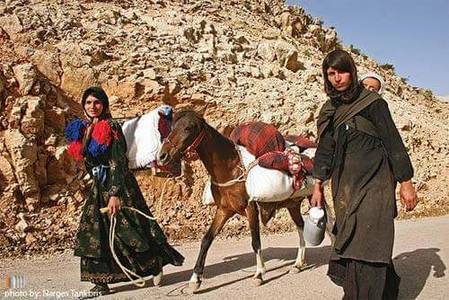 There are only few Kurdish women shepherds as the job is seen as mainly male. Classic Kurdish songs often sing of a shepherd giving his love a newly born lamb or a goat as a present. The Kurdish shepherd plays the nay (ney) and he is assisted by his shepherd dog known for its loyalty and ferocity. No doubt, the mountainous Kurdish landscape provides the perfect pastoral scene for a romantic Kurdish love story. The Kurdish word (shwaan شوان) is an Iranian word related to Persian (chopaan چوپان) or alternatively (shabaan شبان) after changing /p/ or /b/ into /w/ as usual - compare Middle Persian (shpaan) and (shubaan) from Old Persian (shupaana). Probably the core meaning signifies “guarding”. This word is borrowed into a variety of other Indo-European languages from Eastern Europe via Turkish chubaan, jupan (a non-Indo-European language) such as Armenian chobaan (old Armenian shpet), Serbo-Croatian chobaan.